The V4 engine configuration is a special one for Honda, going back nearly 40 years. A complex, yet compact unit, it has a unique power delivery and a soul all its own. Honda's current RC213V MotoGP machine uses a V4, as does the flaghip sport-touring VFR1200F. It's a powerplant woven tightly into Honda's engineering DNA. 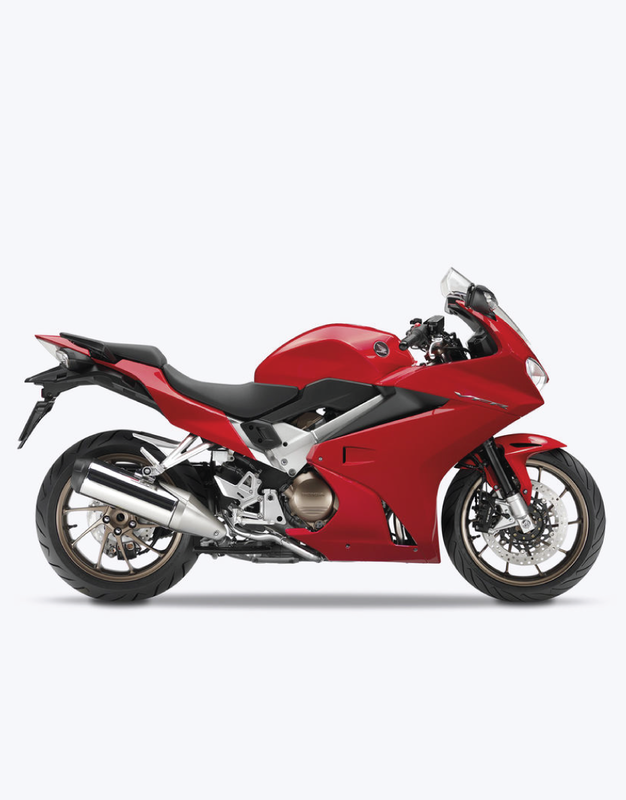 And nowhere has the V4 engine been more at home than in the legendary VFR800F series – a truly all-round motorcycle that's always done sport as well as it tours, and all areas in between, with or without a pillion. It has inspired huge loyalty among owners over the last two decades and it's estimated there are still 75,000 VFRs in regular use across Europe. 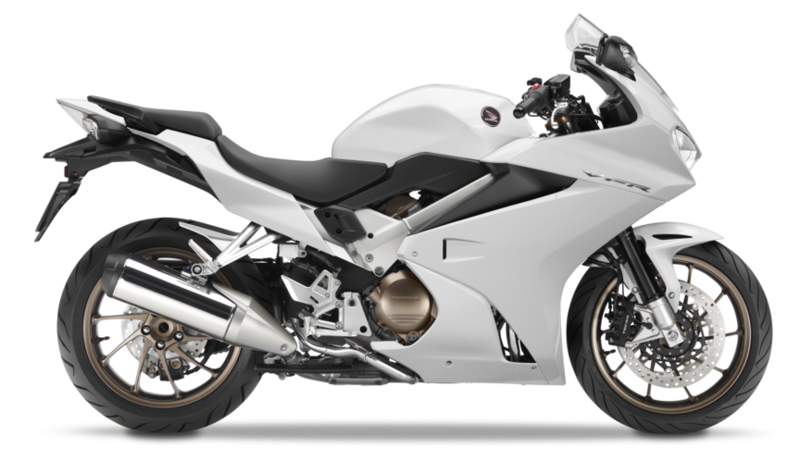 The legion of VFR800F fans know exactly what they like about their bike and also what they'd like more – and less – of in a new model. 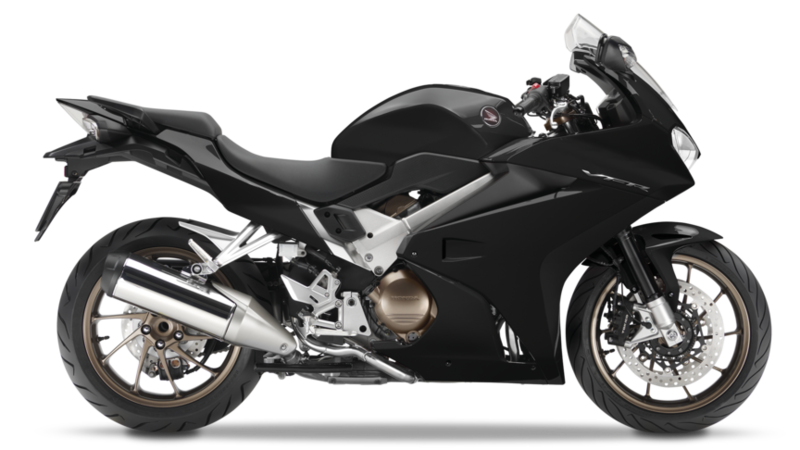 With such an important model Honda has listened intently to customers' views; in essence they want a high-quality motorcycle with strong low and mid-range torque, light and slim but just as capable and adaptable, with a return to the evocative look and feel of VFRs of the past. 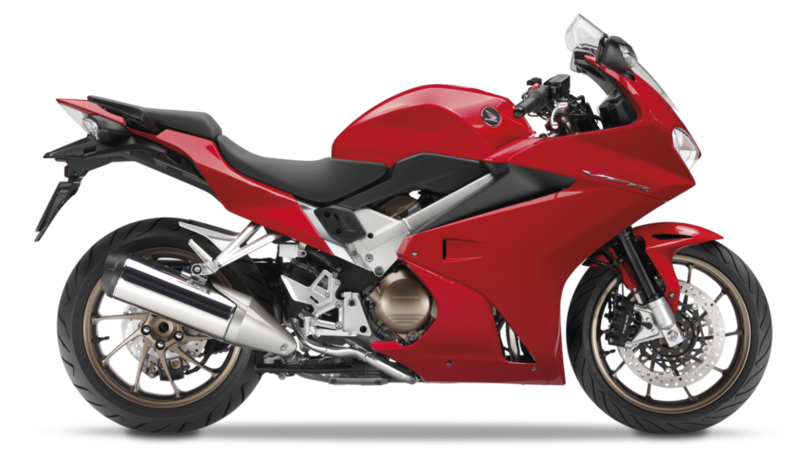 The waiting is over – the new VFR800F is here.